Usually only a footnote in the general history books the First World War in Africa is a fascinating subject. From the Deserts of German South West Africa to the fever ridden swamps and bush of German East Africa, the main protagonists were the German Schutztruppen and South African loyalist troops "Botha's men". This section will include as yet unpublished orders of battle and accounts of the 1914 SA rebellion. The wonderful staff at the South African National Defence Force Archives in Pretoria made it possible to mine this information. One of the most important documents I found in a trip to the South African Defence Force Archives was an Order Of Battle compiled in 1915. It is, to the casual reader, a long, boring list of units. To anyone with an interest in South African medal groups 1914-1915 it is a godsend. It goes a long way to clearing up the evolution of the commandos and other units. It has the units listed during the rebellion and later in GSWA. The Battle of Sandfontein was by later standards merely a skirmish. An account of the battle will be posted elsewhere in the site, the following link has a list of the Dead, Wounded and POW's and should be of interest to collectors, especially those with Transvaal Horse Artillery Trio's. The text of Brig. General Mackenzies report about the actions of Central Force in German South West Africa including a casualty list. It deals mainly with the action at Gibeon. The medals and write up about Lt. William Owen, wounded at Sandfontein and possibly the first South African casualty of the first world war. A detailed account of the battle of Sandfontein along with the official report can be found here. 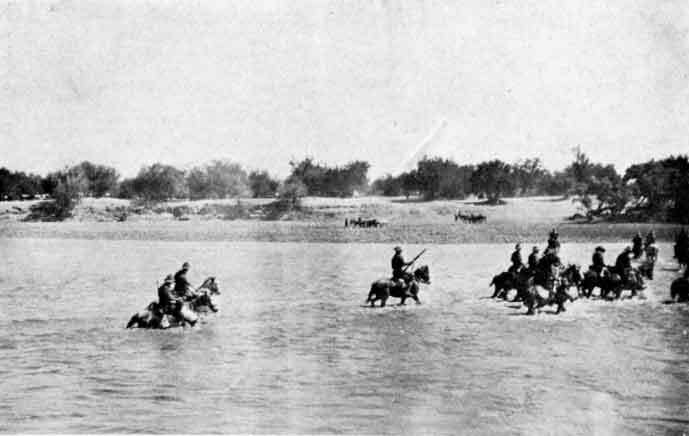 The skirmish at Hamakari was part of the battle at the Waterberg. It was an opening act to the extermination of the Herero in 1904. The award documents to German Schuztruppe field gunner Heinrich Teske are shown with the article. A very important roll of Officers serving in the South African Mounted Brigades in German East Africa can be found HERE.